Since APC took over the administrative power in Nigerian government, Nigeria citizens has lamented how they have failed and how President Buhari, who was elected at the premise of CHANGE, has also failed woefully. But in a twist, Mr. President declared today that he has fulfilled his major promise to the nation. Mr. President on Tuesday visited Yola where he insisted that he had fulfilled major promises made to electorate during his political campaign. 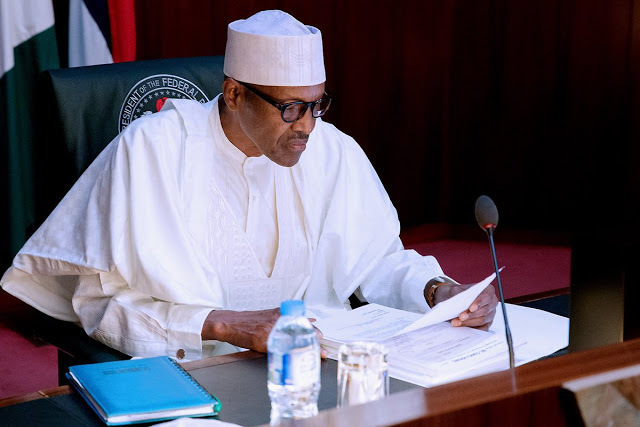 Buhari, who paid homage to Lamido of Adamawa, Alhaji Muhammadu Barkindo at his palace, said that the fight against corruption and maintaining peace and security were among the priorities of his administration. “We appreciate security progress in the North East and the country at large. He explained also that economic development has improved, especially in the area of agriculture. “We are lucky that for the past two years farmers across the country experienced excellent harvests,” Buhari said. According to NAN, Mr. President said that Federal ministry of agriculture and Central Bank of Nigeria would continue to support famers in years to come in order to sustain sufficient national food production and economy growth. He said he was aware of the abandoned Chochi water and irrigation project in Yola South local government area and explained that no one should be blamed for it. Barkindo had advised Buhari not to listen to the call by some “empty barrel Nigerian elite’’ that he should not seek for a second term. “I am calling you to remain focus, stand firm and don’t listen to the empty barrels Nigerian elites who are calling you not to re-contest for 2019 Presidential election. “They are burying their heads in shame and telling people that Buhari’s led Government has done nothing,” Barkindo noted. He noted that the elite had forgotten that Buhari introduced Treasury Single Account where Tens of Trillions of naira belonging to Nigerian people was saved. He listed some of the visible achievements of Buhari to include security, economy and fight against corruption. He appealed to the Federal Government to look into the Chochi water and rice irrigation project which he said was abandoned for over 20 years . The monarch appealed to the president to intervene and reconsider the upgrading of Moddibo Adama University of Technology, Yola into full pledge conventional university with schools of management, Information Technology, Health among others.